The number of transactions for off-plan properties on the first day of Cityscape in 2017 increased three times, from 37 to 106, year-on-year. This was a significant leap in activity, especially with half the month of September yet to complete. This hasn’t been the only record shattered; July 2017 was the most active month for off-plan sales since 2008, when the Dubai Land Department (DLD) began recording data online. The month had over 2,200 under-construction units sold, and this trend set by off-plan sales continued into August. The second month of the quarter usually records lower activity than the first half of the year, given the spate of holidays. However, this year August activity also surpassed historical numbers with off-plan sales touching the 2,100-unit mark. For apartments, starting prices of $136,000 in emerging locations such as Dubai South and Sports City are driving demand from first-time buyers. Lower-priced villa/townhouse inventory continues to enter the market in locations such as Dubailand, impacting price dynamics for existing communities. Price declines continued during the last twelve months, averaging more than 1% y-o-y for apartments and villas/townhouses. Communities with existing infrastructure and amenities continue to fare better than outlying areas, which have limited facilities and where the majority of the projects are still under construction. 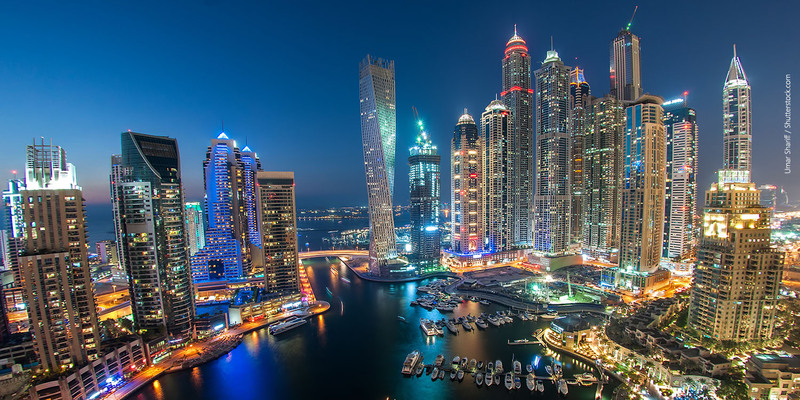 Prices for properties in established communities with limited upcoming supply, such as Dubai Marina and DIFC, have held stronger than emerging neighbourhoods with significant upcoming supply, such as Dubai Sports City and Jumeirah Village Circle. Current price levels have encouraged buyer activity, especially from end users, with year-to-date transactions surpassing 2016 levels, in particular for under-construction properties. DLD data puts total off-plan transactions for apartments and villas between January and August 2017 at 16,173, versus 9,878 transactions over the same period in 2016. Off-plan sales account for the majority of total transactions between January and August 2017. As stated earlier, July 2017 was a highly active month for off-plan apartment transactions, with a total of 2,220 transfers. February 2017 was also particularly active for off-plan villa/townhouse transactions, with new launches in Dubailand and communities in Reem Mira accounting for the majority of transactions. The current momentum in sales activity is driven by a larger proportion of end users than ever before, particularly first-time buyers, who are entering the market enthused by low prices and encouraged by attractive payment plans offered by certain developers. Newer banking products and incentives such as fee waivers have also helped a new set of buyers enter the property market. Prices and accessibility criteria for home mortgages, traditionally the two biggest barriers for such new entrants, have been lowered, resulting in an uptick in market activity. Another continuing trend has been declining rents for residential properties in Dubai, with 12-month declines averaging 3.4% for apartments and 4.7% for villas/townhouses. Rental declines have been more pronounced in larger units such as villas/townhouses than in apartments over the last twelve months. The introduction of lower-priced villa inventory in the market through communities such as Reem Mira and offerings in Dubailand is expected to put pressure on larger apartment units, as softening rents could fuel migration to these new villa communities. Additionally, a sizeable volume of new supply currently under construction in freehold locations such as Al Barsha 2 & 3, Al Barsha South and Al Warqa’a will put further pressure on the declining villa rentals. Meanwhile, larger villa units will continue to face occupancy pressure. This pressure comes primarily from relocation of senior executives, who historically occupied these units, as they are now opting for smaller units due to reduced housing allowances. To avoid long vacancy periods, landlords have been offering incentives such as payment through multiple cheques and first month rent-free. The average payment structure has now become four cheques annually, against the typical one-cheque payment in previous years. 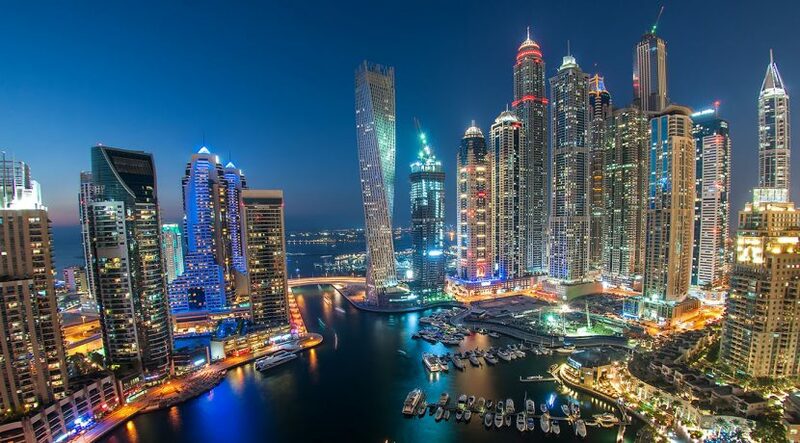 The scheduled upcoming supply is also expected to continue affecting rents in the emirate. Alongside this, the upcoming introduction of VAT is expected to affect household income levels and hence rent contributions. As of August 2017, approximately 24,400 units are scheduled to be handed over during the remainder of the year, though actual completions may vary significantly. Historically, there has been a considerable gap between the number of units announced for completion and actual handovers. Some projects are delayed as a result of financing issues, contractual disputes, and licensing and approval delays. Some developers are also adopting staggered delivery schedules, to align handovers with demand and project sales potential and to avoid flooding the market with units that cannot be absorbed. Developers are expected to continue phasing the delivery of projects by focusing on absorption of limited released units before more supply is brought to market. The key locations for upcoming supply this year are Dubai Marina, Damac Hills, Jumeirah Village Circle, Dubai Sports City, Al Qouz and Business Bay, which all have over 2,000 units expected to be handed over by the end of 2017.